I don’t mean to, y’know, squelch anyone’s creativity or anything, but an Italian salsa verde would be made with herbs. A Mexican salsa verde would be made with tomatillos. And basically any salsa verde would be verde, wouldn’t you think? I’m guessing, perhaps, what you’re actually supposed to use is tomatillos? 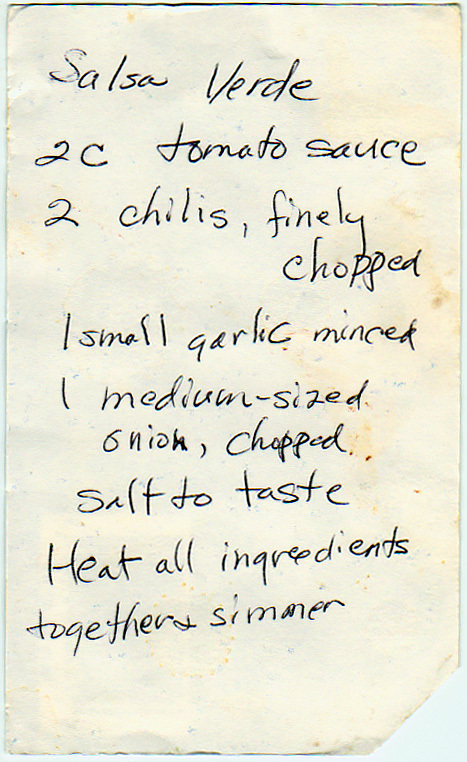 Heat all ingredients together and simmer. Or just cookies, if you like that title more. A Japanese ingredient we probably don’t realize we recognize.